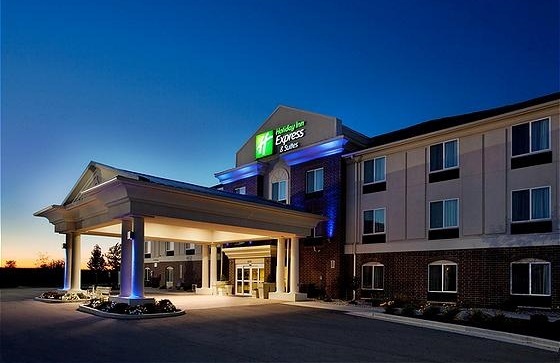 Portland’s Holiday Inn Express is conveniently located off Highways 26 and 67 as they merge together, providing easy access to the Fort Wayne International Airport and the surrounding cities of Muncie and Gas City. The hotel offers a heated pool, indoor swimming pool, outdoor patio, a 24-hour fitness center, and a complimentary breakfast bar. During your stay, you will have easy access to the many attractions Portland, IN provides. Additionally, guests can visit Buffalo Wings and Rings, which is just outside the hotel, or have an order delivered to their room!